Dr. Klaus Fichter is the founder and director of the Borderstep Institute for Innovation and Sustainability. He is adjunct Professor of Innovation Management and Sustainability at the Carl von Ossietzky University of Oldenburg, Germany, and is on the board of directors of the Oldenburg Center for Sustainability Economics and Management (CENTOS). He is head of graduate degree programs in innovation management and sustainable entrepreneurship. Professor Fichter is scientific director of the regional Network for innovation and entrepreneurship in times of climate change (NIK) and Chair of the Special Interest Group “Sustainable Entrepreneurship and Innovation” of the FGF network of entrepreneurship research, education and policy (the largest network of entrepreneurship and innovation researchers in German-speaking Europe. Furthermore, as a widely published author in journals such as R&D Management, Research Policy and the Journal of Industrial Ecology, and a business entrepreneur, he has proven credentials in both academia and the business world. Distinctions include the €10,000 Hans Sauer Award for the promotion of environmental innovations for an innovative “eco-venturing” teaching approach that mentors start-ups on developing sustainable business ideas. His research focuses on evolutionary and interaction economics, eco-innovation, management, sustainable entrepreneurship and green start-ups. He is particularly interested in co-creation, innovation communities and entrepreneurial ecosystems. 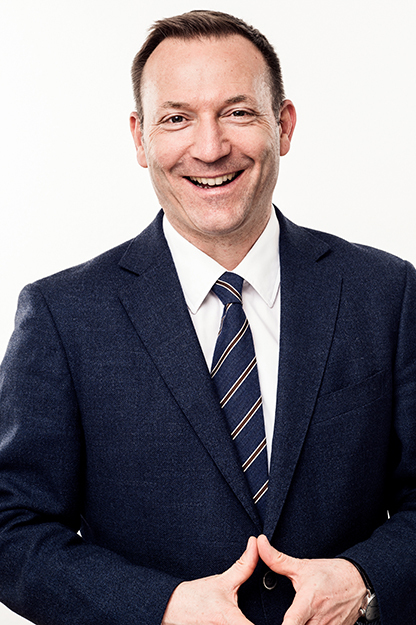 Klaus Fichter studied business administration, entrepreneurship and economics at the University of Bremen. From 1993 to 2000, he was head of the “Corporate Environmental Management” research field at the Institute for Ecological Economy Research (IOEW) in Berlin. He completed his doctoral thesis in 1998 and his habilitation (qualifying for full professorship) in 2005. From 2005 to 2009 he was Associate Professor and since 2010 adjunct Professor of Innovation Management and Sustainability at the Department for Economics, Management and Law at the University of Oldenburg, Germany.